Helen Keller's personal recollections and correspondence reveal her relationship with her beloved teacher, Annie Sullivan, and the problems and obstacles she encountered as she struggled to overcome her handicaps. 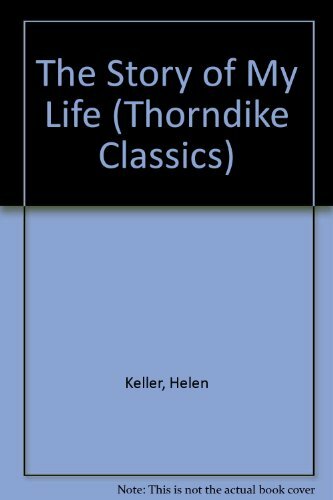 Amazon.com description: Product Description: An American classic rediscovered by each generation, The Story of My Life is Helen Keller's account of her triumph over deafness and blindness. Popularized by the stage play and movie The Miracle Worker, Keller's story has become a symbol of hope for people all over the world. This unparalleled chronicle of courage remains startlingly fresh and vital nearly a century after its first publication, a timeless testament to an indomitable will.